Countdown to Christmas with Charlie Brown and Snoopy! 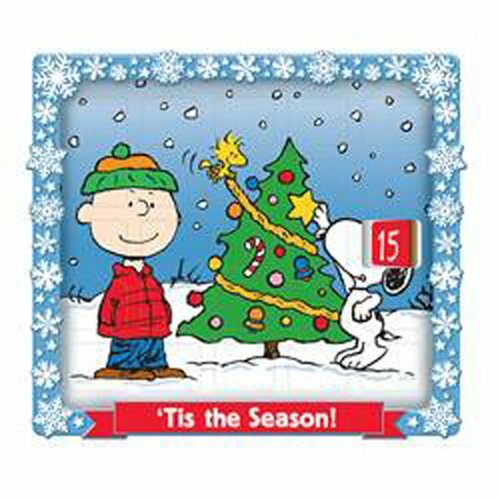 This Peanuts 9 1/2-Inch Advent Calendar features the popular Peanuts duo hanging out in the snow with a Christmas tree and the words "'Tis the Season!" Advent calendar measures 9 1/2-inches tall. Ages 14 and up.